It’s hard to make a choice like that. Good for you for prioritizing what matters most to you. 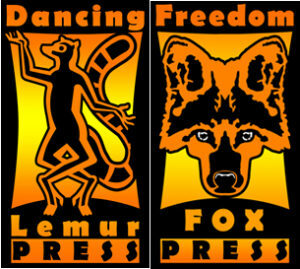 Take care and keep publishing! I think you’re wise to not push back to the pace you’d been keeping. You can always add more when you’re ready . . . or you may decide that a slower pace is much more comfortable. I’ve found recently that I need to cut down the number of things I’m doing and reevaluate where I’m spending my time. This has caused my other blog (my personal one) to lapse, but I believe that writing there when I actually have something to say will feel much more satisfying than writing on a schedule. L. Diane Wolfe’s advice is solid. Hey, Lee! Hope your July is productive, pleasant and filled with peace. Thanks, Heather. I think staying somewhat connected right now is my best course of action. It will allow me to think about other things. Those are good decisions. Cutting back on that kind of stuff will help (IMO) and allow you time. I’ll still try to get around to the blogs I enjoy because…well, I enjoy them! This all sounds very healthy, Lee. I’ve been toying with the idea of downsizing my blogging but for a different reason: I think readers like it better. I get more comments, more interaction, when I don’t bombard them with so many thoughts! I like #iwsg–one of my monthly participations also. I’ll see you over there! BTW–loved your newsletter. Your header is so clean and clear–I may steal the idea. And you have me considering a change back to Firefox. I switched from it because it was so slow when I had multiple tabs open. Maybe they’ve changed! Yes, you are actually noting, much to your delight, a comment from your starstruckest fan! Indeed, you need to find the right balance that truly works for you. I know that blogging and all the rest of the stuff that goes with it, such as, um those hippety hoppety blogfests and of course, that IWSG scene, can takes it toll. It’s why I’ve been so much in the background as of late. I found my balance was to stay away for a bit. All the best to you, Lee. I’ve missed my starstruck fan a lot! I need some witty repartee once in a while. Thanks for the visit. This seems like such a good way forward. I can’t even begin to imagine what you’re going through and the types of tough decisions you’re having to make. Hopefully, this one helps take some pressure off. We’re all here for you and looking forward to connecting and touching base on a monthly basis. Take care. I was sorry to miss your launch, but I’ll find a way to make it up. I always appreciate good karma. Thanks, Mark. Your new caution and reevaluation is natural. When my relationship ended after eight years, though not in such an unexpected, catastrophic way, I was the same. Not having a safety net any longer is a huge life change, but…like me, I bet you DO have a safety net–it hasn’t disappeared, just changed. Friends, family, and your fellow blogger-writers, will be there for you, as will hired professionals. While it doesn’t replace or even begin to make up for your massive loss, it does mean you’re not alone. You’ve really pinpointed what’s happening. So many people I’d never considered would be there are there, and I’m still processing all of that. You certainly have been there for me. I’m an elephant in remembering kindness and compassion. This sounds like a good plan. No one would blame you if you took the rest of the year off even from IWSG. Just do what you can. The blogosphere will be here when (or if) you are ready to come back. The blogosphere is like the ocean, isn’t it? Very big. Always changing. But always there! You are so right. Take all the time you need is exactly right. Finding your new normal through a morass of emotion is tiring and scary. Heartfelt hugs and oceans of caring. Always. Hey! Thank you for the beautiful images on your blog today. You are one great photographer, and you dance a bit madly. How does that not make for a perfect life? I agree with Beverly about your taking your time. You have to do what you can handle and enjoy now. Look at how long it took me to be able to even read, let alone write. Since I already had a schedule, it made it easier to continue the blogging. But I don’t want to blog more than once a week anymore. I remember your saying that you couldn’t read or write, and when I couldn’t I thought, “Well, maybe that’s natural. Natalie couldn’t either.” I’m still not writing. I’m reading magazines now. My husband always read Science News and Forbes, and he’d share all of that with me over breakfast. Now I’m reading those. His interpretation made it easier to absorb. I do miss his brilliance. Onward! I did something similar. My husband read a lot of online newspapers and news sites and watched the news a lot. I was always too busy, but after he died I started reading all the news and watching to it more too. Funny how we both did that. Take your time. Life isn’t easy. Been there. But know that you are loved. I suppose if we live long enough, we all go “there.” Thanks, Beverly. I read your post about the tribute to your father and your husband. That was very touching. They would be touched as well. Doing what is best for you is the way to be. Even just once a month keeps you connected. Blogging does take a huge chunk of time. Hopefully this will let you breath a little easier. You are wonderful. Thanks for the light. I’ve been mainly posting once a month for a while, and it’s a huge stress reliever. You have to do what is working best for you. I saw that, Cherie. We need as little stress as possible. I’m with you. I appreciate that, Hilary. This community has helped me more than I can say and certainly much more than I expected. I enjoyed your YARN today. Quite a colorful tale of kids and grandpa! Glad you jumped into the WEP. 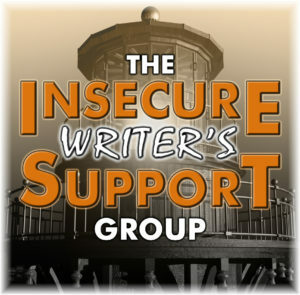 I know of a few other writing bloggers who also only do IWSG posts at the moment. Quality matters more than quantity, and cutting back on posts is very understandable. Lee, you are so welcome. But it wasn’t just me – it was a ton of other people coming to bat for you. You and the others have been amazing. I just hope I can repay everyone in kind. That Teddy Roosevelt quote about decision making is a favorite of mine. Your regular weekly posts will be missed but, clearly, you have your priorities in order. I hope you will come see me whenever possible. Although out of sight, you will not be out of mind. I recently purchased Some Very Messy Medieval Magic and gifted it to the young daughter of my next door neighbor. The girl, age 9 and an avid reader, was delighted to receive it. Please take good care of yourself, dear friend Cheryl-Lee! Thank you so much, Shady! I’ll be by your place as always. Have to see what you have in the way of great tunes and stories. And thank you for giving SVMMM as a gift to your neighbor. That was wonderful of you. If that’s what you need to do, then do it. There’s actually quite a few people who only post for the IWSG every month, maybe one or two more. And that’s just as good, as it keeps writers connected. I think monthly is doable for right now. I’d like to return to weekly, so I’m keeping that open as a possibility.